Figure 13-54.--Patch removal involving more than two existing multiple cuts. Cut no more than two holes in any tank. Cut holes to the minimum size necessary. butts or seams whenever practical. toes of two welds, as shown in figure 13-53.
distance of 6 inches from the weld area. 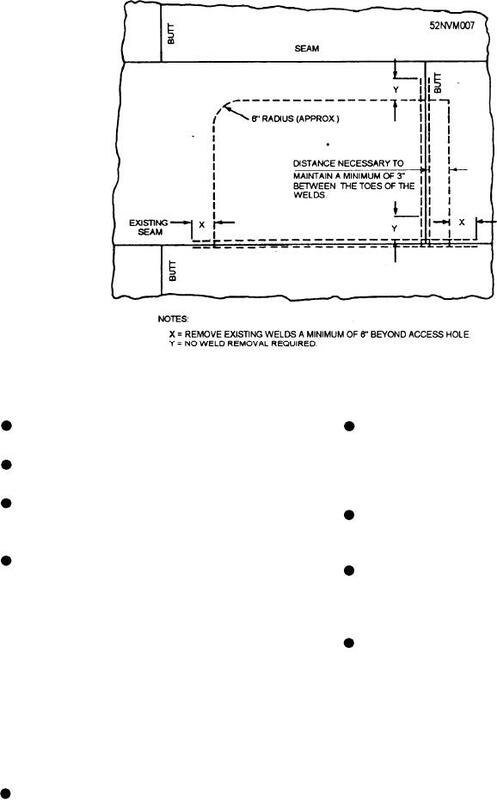 documents, for laying out and cutting the access hole.